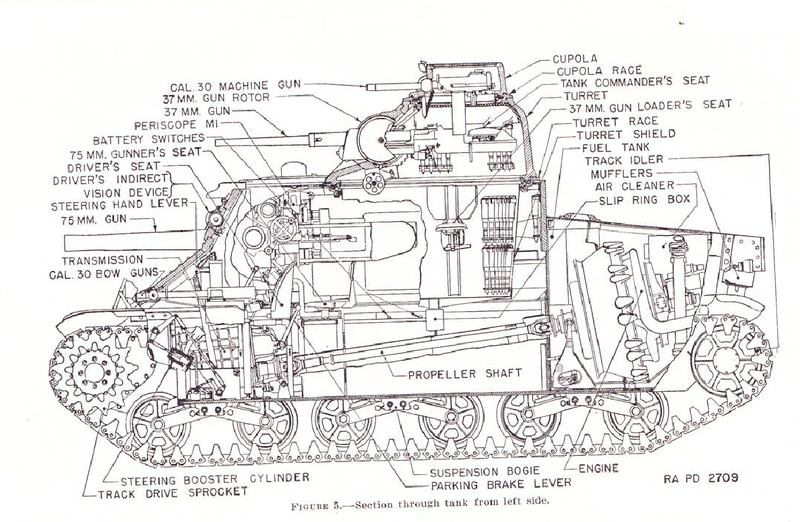 The M3 Lee Medium Tank Page: All variants, one page, the Grant too. 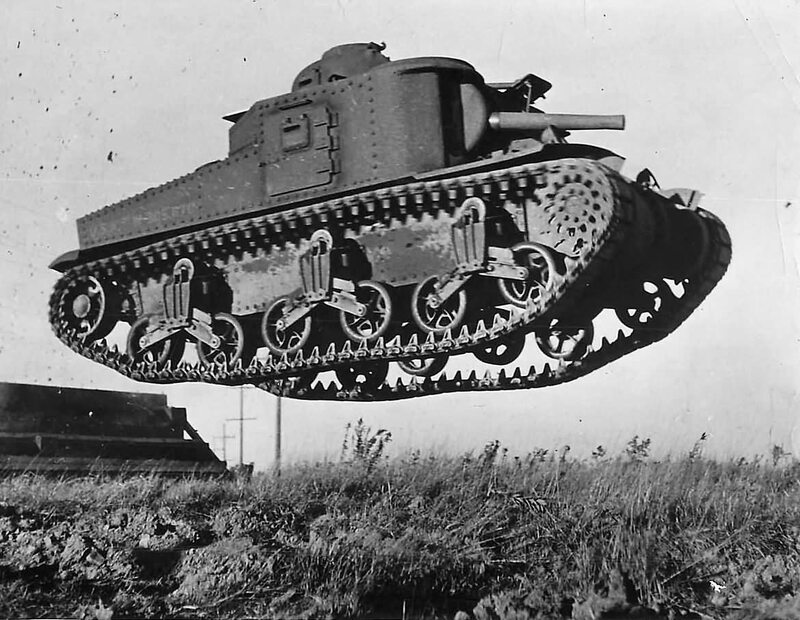 This was the first version of the tank and used a riveted hull with the R975 radial engine powering it, the suspension and tracks were very similar to the M2 medium. 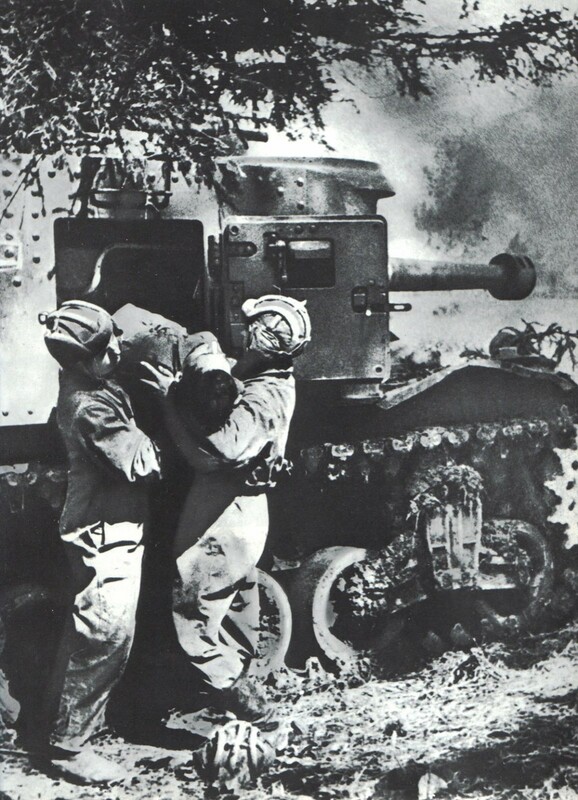 Early production tanks had an M2 75mm instead of the improved M3 gun. 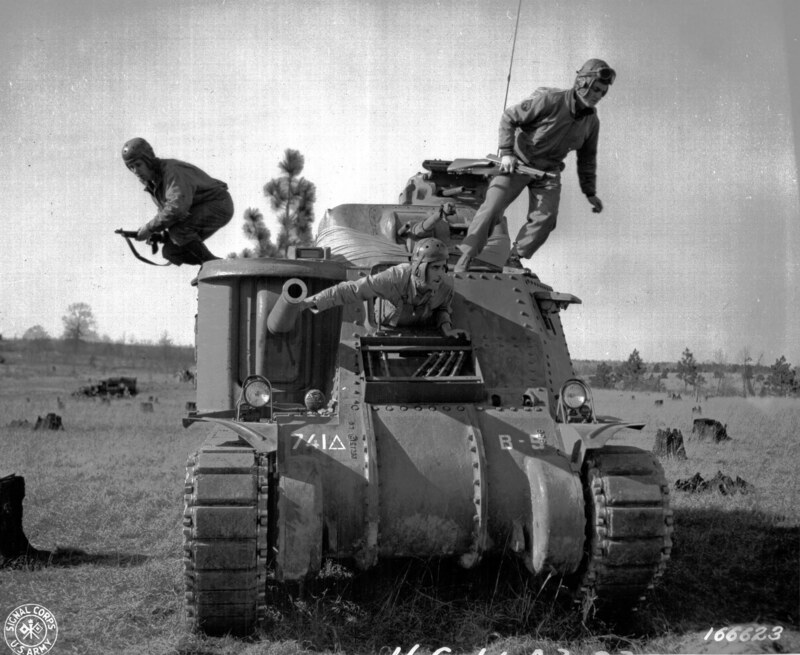 These tanks had a counterweight mounted on the shorter barrel, so the gun could still work with the stabilizer. 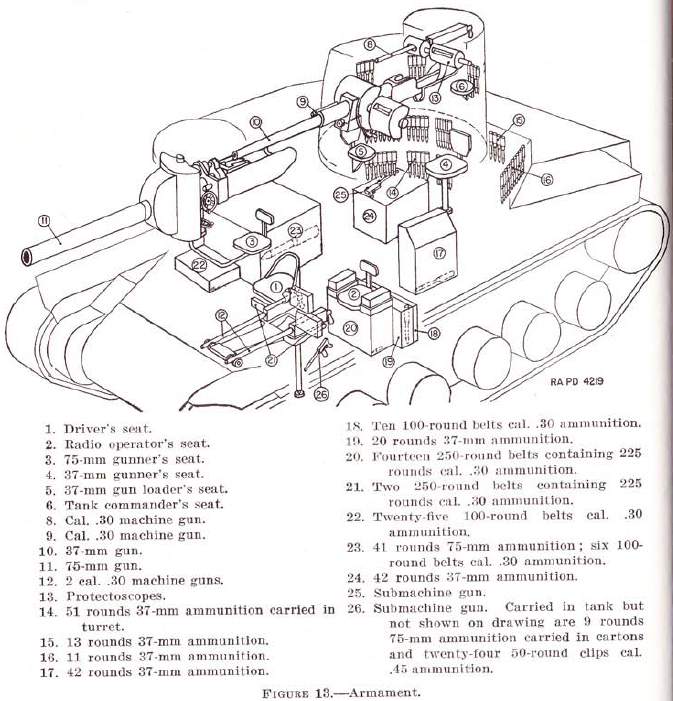 All Lees had a turret with a 37mm M5 gun. 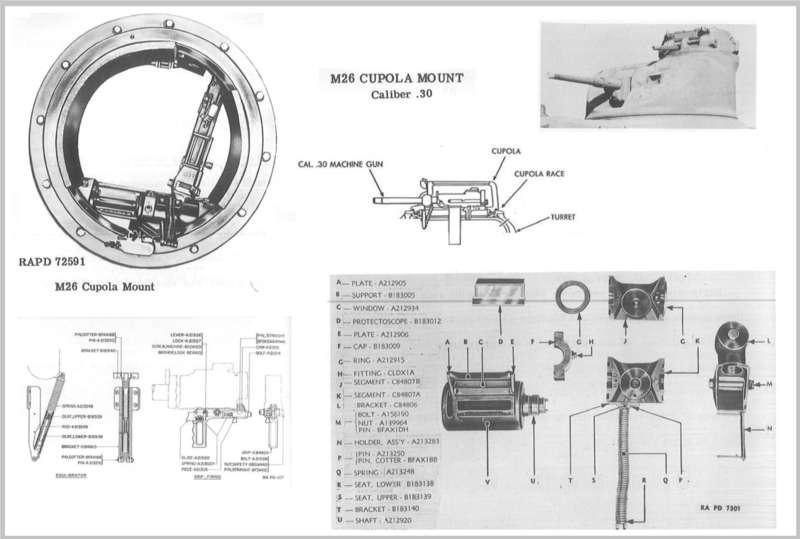 The early production version had two hull mounted, fixed .30 caliber machine guns, another mounted coaxially with the 37mm gun, and another in a small turret mounted on top of the 37mm turret for the commander. 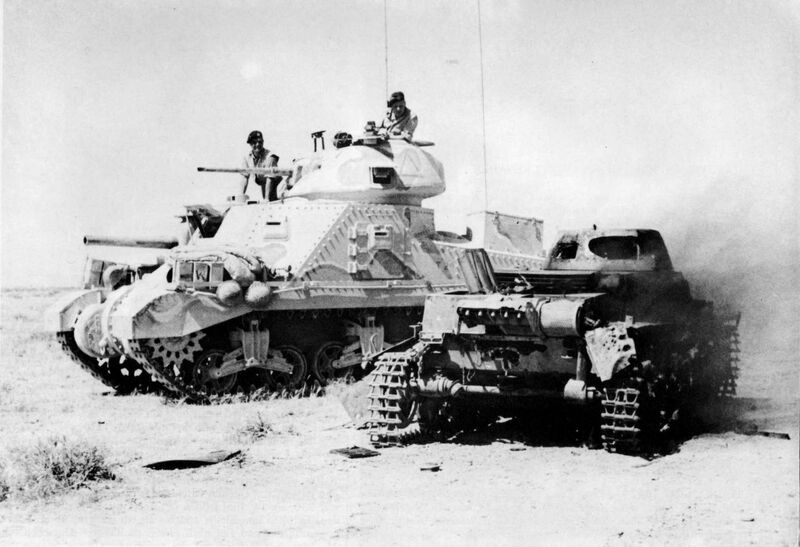 The 37mm and 75mm guns were stabilized, though some early production tanks didn’t receive them. 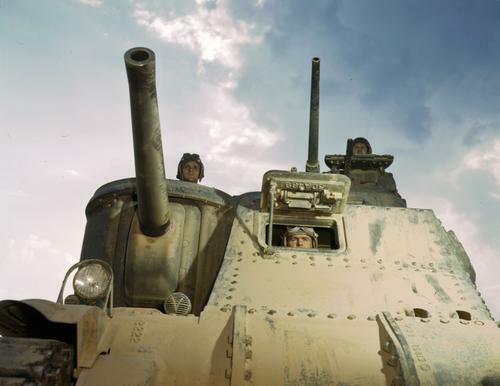 They built nearly 5000 of these tanks. 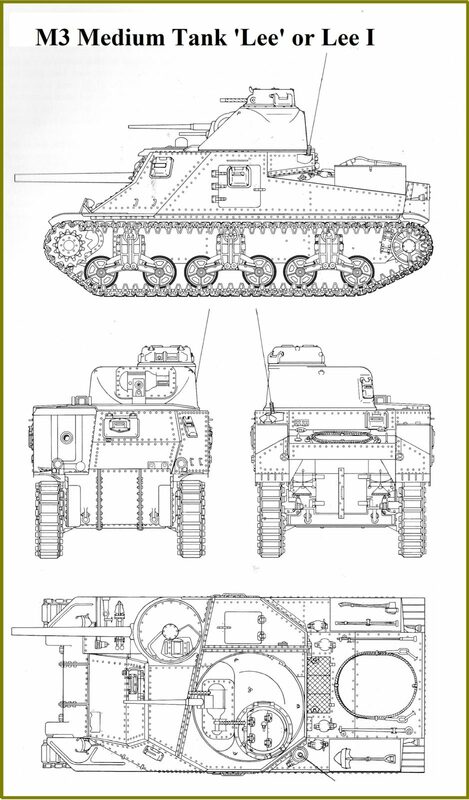 The M3 was improved on the production line with things like removal of hull machine guns, and hull side doors, along with thousands of minor changes to smooth its production. The mini turret mounted M1919A4 was not a popular feature, and was hard to use, but it remained on all Lees and were only deleted from the Grant version produced exclusively for the British. If this version had a major flaw, it would be the riveted armor plates could shed rivets on the inside of the tank and these rivets bounced around like a bullet. 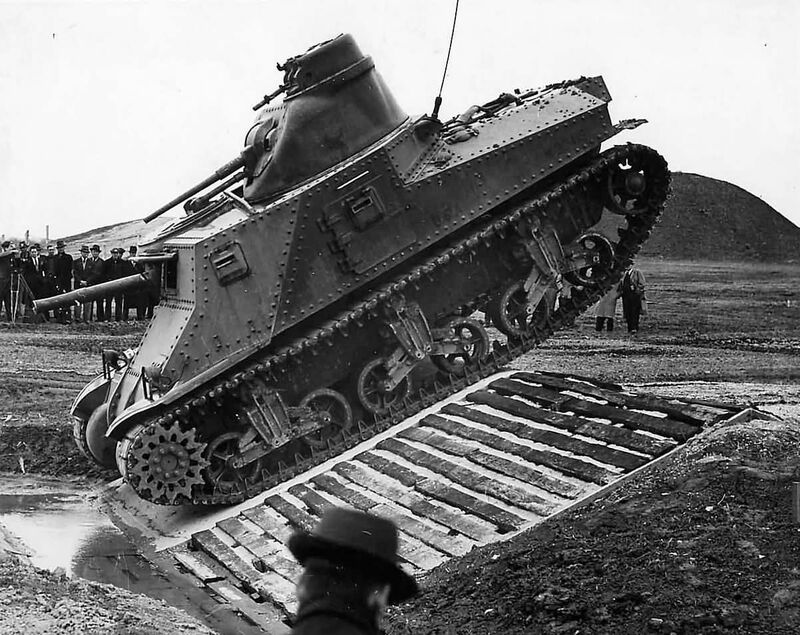 This was bad for the crew, but, rarely resulted in a knocked out tank. 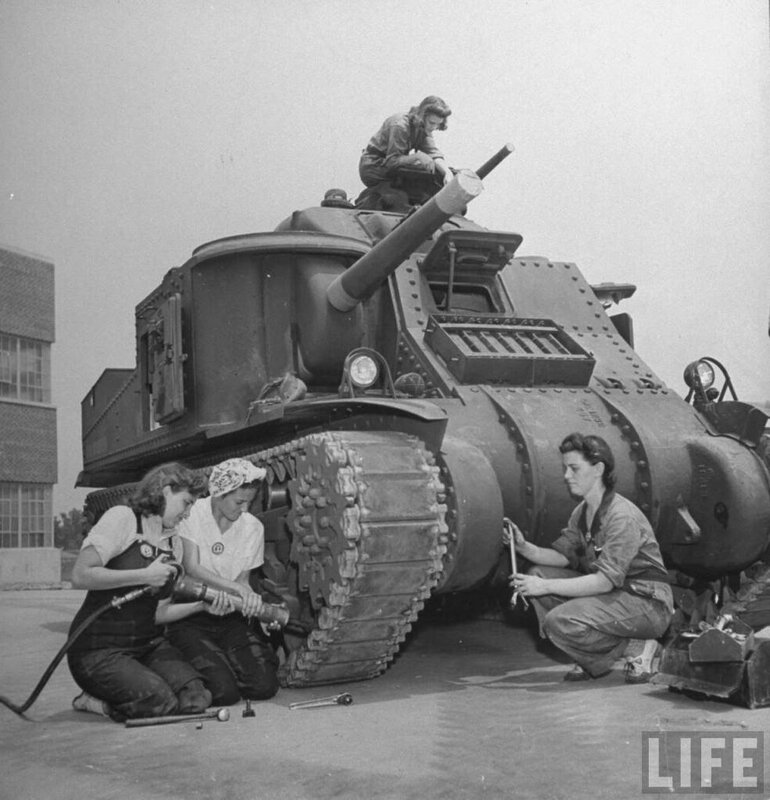 A field fix for this was welding the rivets in place on the interior of the tank. 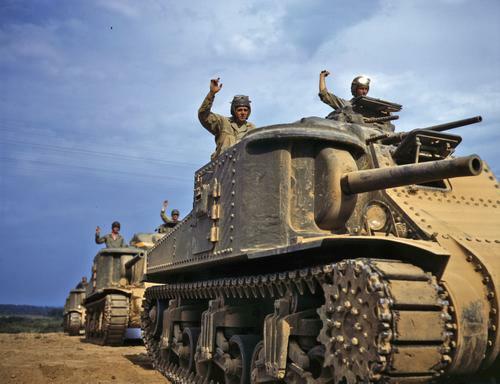 Most of the M3 Lees produced went to the British, but the US 1St Armored Division used them in combat in North Africa, they saw no use in later campaigns in the ETO or MTO, other than the ones converted into recovery vehicles. 4924 produced. 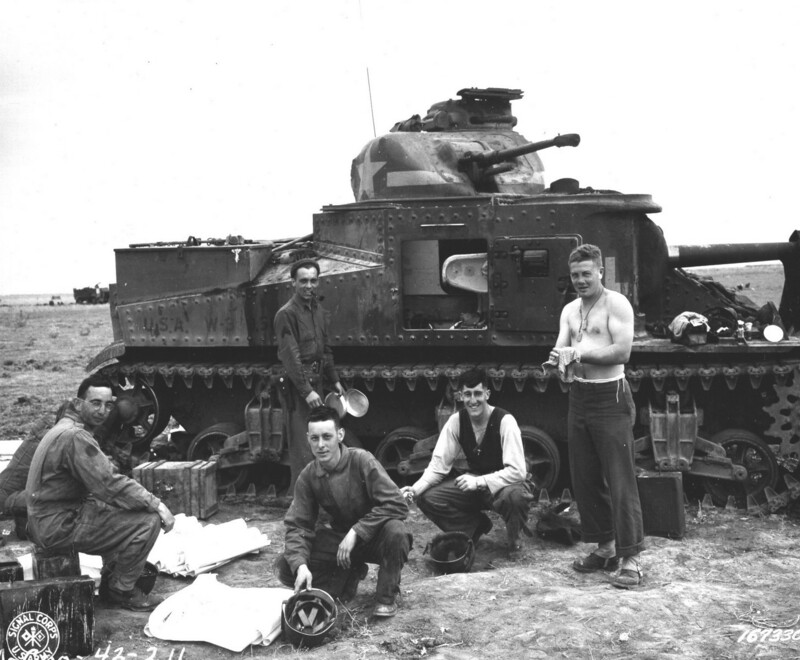 Many Lee tanks continued to see service with the Australians and British in the far east. 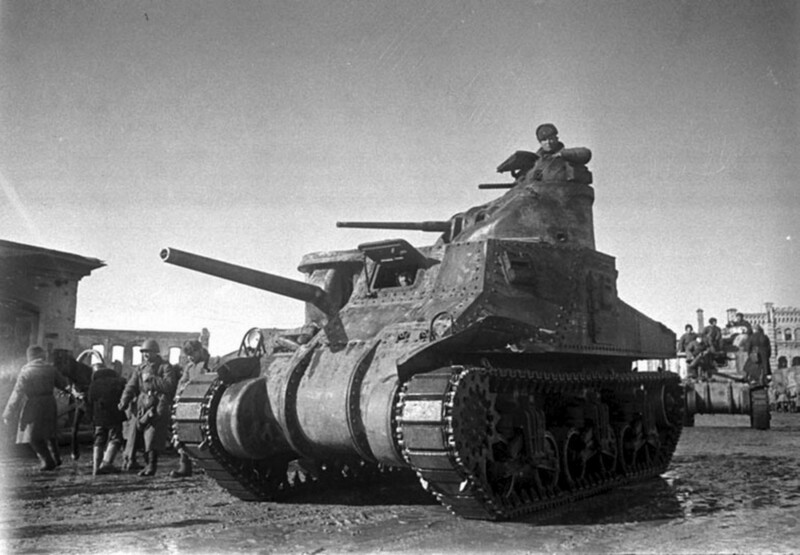 These tanks, though not even close to perfect, performed well when introduced, and were a fearsome weapon with a lot of firepower against the Japanese. Another welded hull but this one powered by the GM 6046 Twin Diesel. This was just like the base Lee, with the same improvements. This is the first vehicle the 6046 was used in, and most of the bugs were worked out on this model. 322 built. Some of the problems with the motor were air cleaners that needed cleaning too often and a complicated oiling system. Crews preferred it when running right, to the R975. The majority of Lee and all Grants saw service with the British, and many Lees went to the Soviet Union. They were generally well-liked by both nations and more reliable than most of its British and German contemporaries. These tanks were better than the enemy tanks they faced until the Germans up-gunned the Panzer IV series. When they were replaced with M4s of various types the M3 were shipped to the Far East for use in Burma and New Guinea. 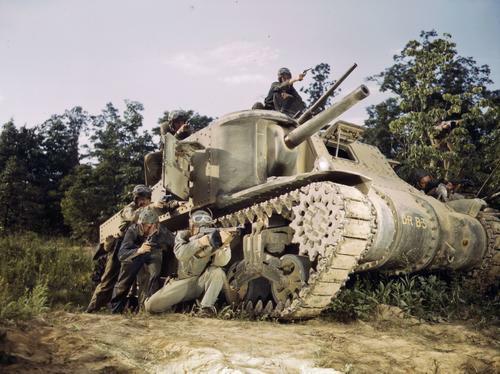 The Japanese had no tank that could take on a Lee, let alone a Sherman. Using soldiers as suicide bombers, and mines still worked though, there was also a pesky 47mm AT gun, but it was rare. These tanks were reliable enough to soldier on in the secondary theaters until the end of the war. 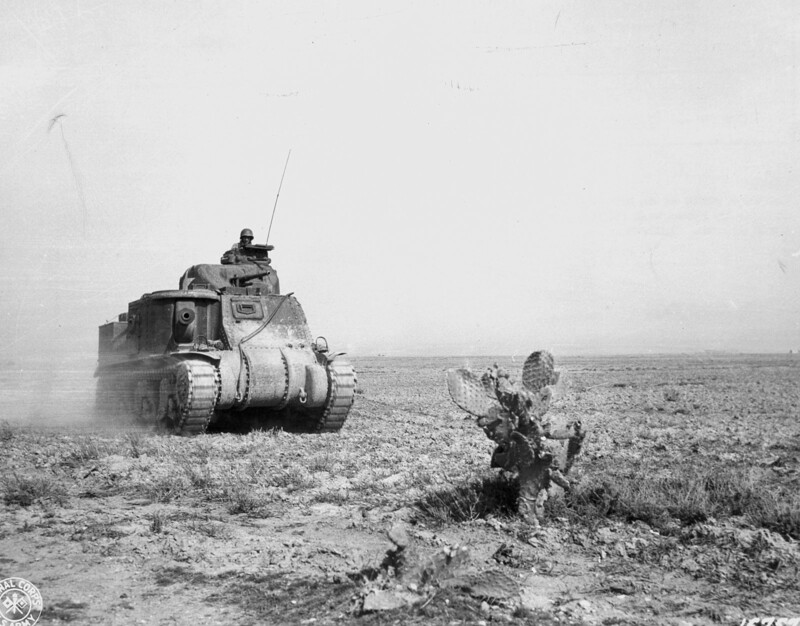 They saw limited use in the US Army’s hands some seeing combat in North Africa, because US combat units lost their Shermans to replace British losses, and a few were used in the PTO. 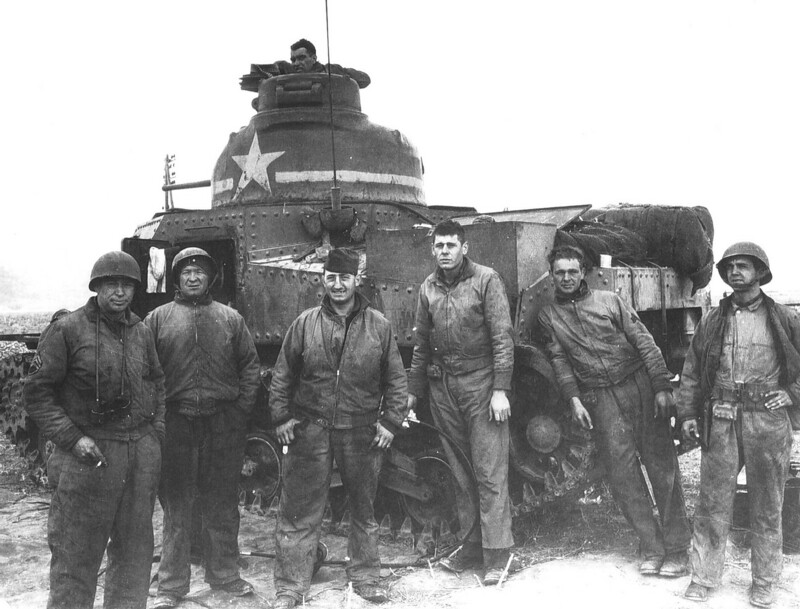 The Sherman owes its success to the lessons learned producing the Lee and from its use in combat. 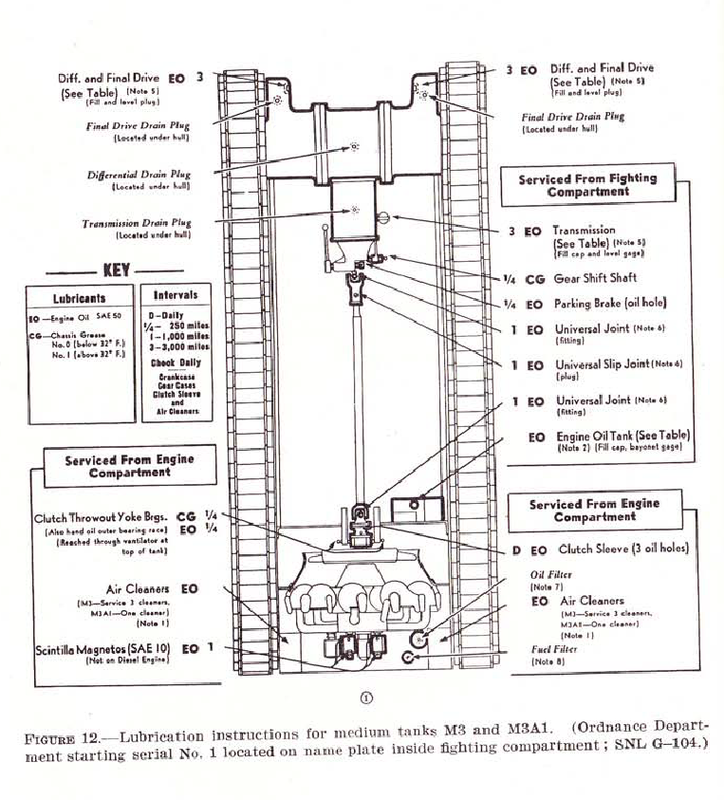 The 75mm gun and automotive systems, even the more complicated ones, would be perfected in the Lee and re-used in M4, and the Sherman only had one motor not tested in the Lee first. 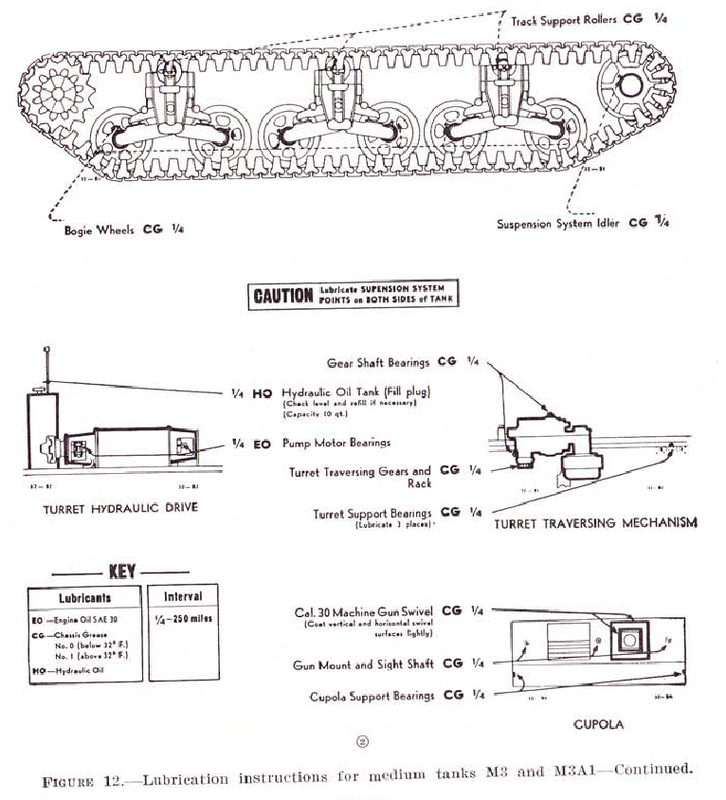 Many of the Lee variants were produced at the same time and the numbering system was more to distinguish between the hull and engine types, not to model progression like in aircraft, and other tanks. This practice was carried over to the M4 series as were all the engines used in the Lee. 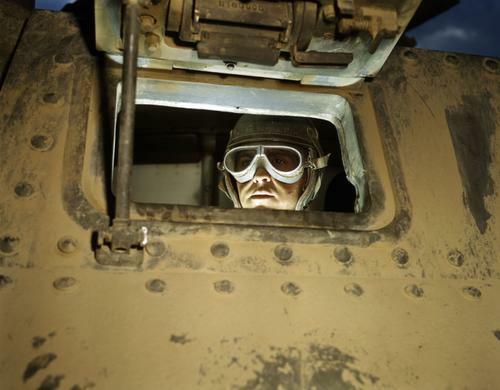 This is a nice color photo looking into an M3 Lee, the tank looks very dirty, and the photo was taken in the US while the tank was being used for training. 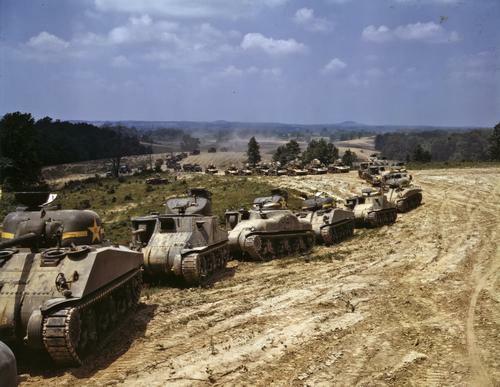 A mix of M3and M4 mediums being used in a training exercise in the United States. 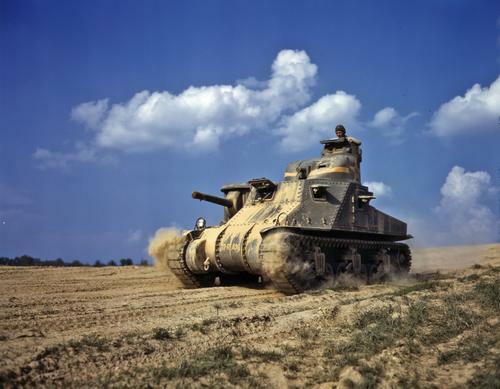 This M3 Lee is also in the US training, probably at Fort Knox, and maybe the same tank as the close-up photo of the driver’s viewport. This is another photo in the same series, and this Lee is also very dirty. This is a photo of the crew demounted and ready for fighting on foot. Note how most have pistols, if they were to fight for long on foot, they could take one of the M1919A4s, they had a tripod for it on the tank. Those tankers are not just waving at someone, that is passing an arm signal to the following vehicle.